The copyright mistake at Concordia – a poetry centre scanned several books and posted them on the Internet without permission – has attracted considerable attention in the press and social media. Kate Taylor wrote a Globe and Mail column placing much of the blame at the feet of fair dealing, while I responded with a post yesterday that noted that no one claimed that the posting of the full-text books was permissible and that Concordia was an ill-advised target for fair dealing criticism given that it has a copyright collective licence with Copibec that compensates for copying on campus. Imagine going to your local library in search of Canadian books. You wander through the stacks but are surprised to find most shelves barren with the exception of books that are over a hundred years old. This sounds more like an abandoned library than one serving the needs of its patrons, yet it is roughly what a recently released Canadian National Heritage Digitization Strategy envisions. Yet it stops strangely short of trying to do just that. The need for a large-scale Canadian digitization strategy has been readily apparent for many years, with experts repeatedly pointing to the benefits that would come from improved access to Canadian history and culture. While other countries have marched ahead with ambitious projects that often incorporate historical text records, photographs, and video, Canada has fallen behind. Library and Archives Canada, which is charged with preserving and making accessible Canada’s documentary heritage, has led the digitization effort, but most of its work over the past decade has failed to bear much fruit. Given the past disappointments, my weekly technology law column (Toronto Star version, homepage version) notes the launch a massive new digitization project should have been a cause for celebration. Last June, the LAC and Canadiana, an alliance of public and academic libraries focused on digital preservation, announced plans to digitize and create metadata on 60 million historical Canadian documents. The documents are currently in microfiche and the project envisions digitizing the images and adding transcriptions and metadata (data about data content) to improve their searchability. Yet as the details of the project dubbed HÃ©ritage leaked out, controversy arose with concerns that the historical documents would be placed behind a paywall that would require individual Canadians to pay monthly fees for access. That generated a significant outcry from many groups, with then-Canadian Heritage Minister James Moore assuring the House of Commons that the new head of LAC would closely examine the project. After the outcry subsided, however, HÃ©ritage began to proceed largely as planned. The key supporters of the project – Canadiana, the major library associations, and the LAC – tried to assure critics that their concerns were unfounded, promising to make the digitized microfiche copies freely available to all and restricting additional fees to value-added services such as transcription or metadata. However, newly obtained documents under the Access to Information Act raise troubling questions about public access and promises of exclusivity made by the LAC. Last year, the Writers’ Union of Canada and Union des Ã‰crivaines et des Ã‰crivains Quebecois announced that they were joining a lawsuit against HathiTrust, a consortium of U.S. universities that work with Google on the digitization of millions of books. The lawsuit, which was led by the Authors’ Guild in the U.S., challenged the legality of scanning millions of books and placing the books in the HathiTrust Digital Library (HDL). Yesterday, a U.S. court ruled resoundingly for the universities, concluding that the practices fall squarely within U.S. fair use (good analysis from Grimmelman, Madison, Smith and Krews). The case is an important win for fair use and it points to a potential model for Canadian universities that have lagged behind in ensuring digital access to materials. The HDL, a joint project of the University of California, University of Wisconsin, Indiana University, Cornell University and University of Michigan, used digital copies originally scanned by Google to allow for three purposes: (1) full text searches; (2) preservation; and (3) access for people with print disabilities. 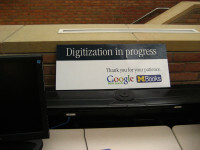 The universities implemented access to the database of scanned books in different ways. The full text search functionality enabled users to search through millions of books for particular terms. 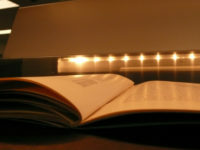 If the book was not in the public domain or there was no authorization from the copyright owner, searches only indicated the page number where the search term was found with no actual text copied. Students with print disabilities were able to access the full-text through a secure system that was not available to the general public or student body.